Long distance moving is no joke. There are more pitfalls than you may be aware of on the way, if you don’t take the time to plan. Long distance moving is not as simple as a local move. If you’ve already had the experience, you probably agree that it takes careful pre-moving planning to make the next one just as successful or more. And if you’re new to this, relax, you’re in for the best move of your life with these helpful tips to help you overcome even the most stressful long distance move. Typically, a long distance move requires that more than one team or crew will handle your stuff. A cross-country move is what you call a long haul over many miles, and although we’re not using camels, the road can be bumpy. Make sure you pack things in a cushioned way and that each box is packed all the way to the top. Inside the boxes, items should be tightly sealed if they contain anything. Remember, boxes may be turned upside down or sideways unless you specify otherwise. That brings us to the second point. Your boxes should be high-quality moving boxes and not the used grocery low-grade type. 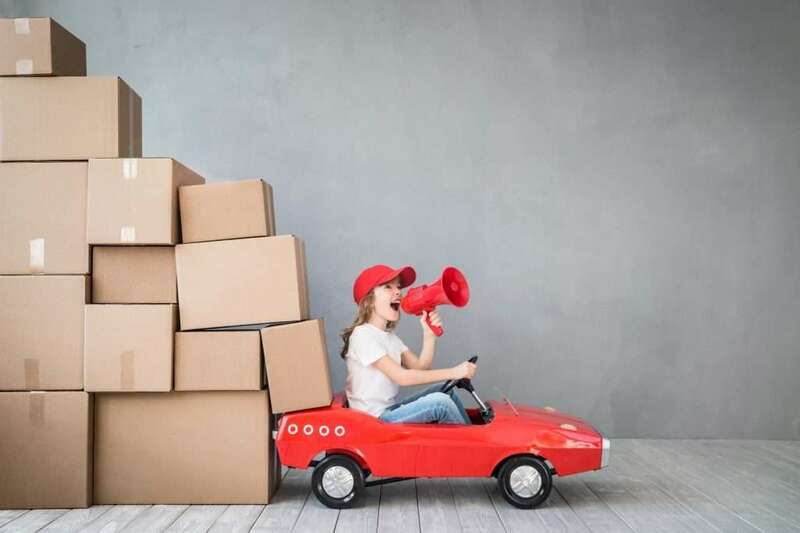 Moving boxes do add to the cost of moving, but they also relieve you of added stress when you find everything is safe and in one piece once it gets to its destination. Association (AMSA) advices people moving long distance to insure their belongings if they want to be able to make a claim and that 20% of moves receive claims. The federal liability standard movers must pay for damaged goods is $.60/lb. Weigh your belongings and decide if they are worth that much or more. Purchase insurance that covers the cost of replacing the items instead of just hoping for the best. Ask you long distance mover to give you all the details regarding valuation limits and move’s liability before making your decision. Don’t pack and send your personal docments away with the moving company in a long distance move. Instead, keep them in a separate box along with bank statements, tax returns and any other type of document that contains sensitive and personal information. Carry them with you, you’ll probably need them shortly after your arrival along with other necessities such as clothing, toiletries, medications, and whatever else you need to keep yourself comfortable during the first hours after your arrival at your new location. In some cases, you may have to wait more than 24 hours for the movers to arrive. It will save you lots of time to plan how you’re going to pack your belonging. For example, label one box DAY ONE and have it placed in the kitchen or where you can easily access it. In this box you can place dishes, pots, cups, and even a change of clothes. It’s up to you what you put in it. This is the box that will contain what you need to be able to whip up a quick meal before you start unpacking. Then, there are specialty boxes containing fragile items that need to be packed properly. The rest of the boxes should be packed according to the room they belong to. This will speed up your packing and unpacking. All things in a box should belong to a specific room in your house. If you are packing the contents of a large home including its outdoor furniture, be aware that there may be regulatory inspections necessary to make sure there aren’t any insect larvae present in the furniture such as moths and other pests. You may find more information about transporting contaminants in moving regulations pamphlets provided by the government. If you’re packing mattresses, it’s a good idea to place them in a box so they won’t bend, soil, or be damaged in any way. Make sure you protect your furniture with coverings that won’t slip off and your furniture is not crushed under a heap of heavy boxes during the long haul. Packing food is not a good idea. Even nonperishable foods can be damaged and ruined. One way to plan for this is to avoid buying groceries that will accumulate before the move. Eat all your reserves before the day of move. Throw or give away any food stuff left in your pantry closet and fridge before the day of the move. This will also keep away creepy crawlers and furry stowaways. Moreover, liquids also tend to seep from containers even when they are well sealed. It isn’t safe to transport liquids in a long distance move, especially chemicals that might get your own stuff or that of others wet. Every box that you pack contains items that belong to one specific place in your home and should be labeled with the room’s name and also with your first and last name and the destination. For example, “Kitchen – John Doe – San Francisco.” This tells anyone that the contents of the box belong to the kitchen and must be placed there, that the owner is John Doe, and its destination is San Francisco. This may prevent boxes from being lost during the move from one place to another if there are more than one person’s move in a truck as is often the case with long distance moving. Frequently, long distance moving companies cannot readily give you a precise delivery date but will typically say they will deliver within a certain window. That’s due to the nature of long distance moving logistics involved in the delivery process of several shipments to nearby places. It’s important that you are aware of this and read the contact carefully. You may have to wait for up to two to three weeks before receiving your shipment. Make sure you have all the necessary clothing and shoes you will need as well as your personal documents and medications. In some cases, moving companies will give you a precise moving date for a convenience fee. Planning for a long distance move requires foresight. Find out if the moving truck can make the trip to your new place. In some cases, especially long distance moves which are transported in large tractor trailers, there may be a regulation in the residential community that prevents them from entering, inaccessible roads, or a clearance height the truck cannot clear. In such cases, the items must be moved to a smaller truck before they can be delivered. This will add time and cost to the move. Parking availability is another issue to keep in mind as well as service elevators and days of the week and times when moves are not allowed at your new residential community. Take all these details into account, plus, check for the best times traffic wise for your movers to show up. It’s a good idea to check with the apartment manager for details about the use of elevators, parking, and move-in times. In some residential communities moves are allowed only during certain times in the weekend and the service elevator must be booked in advance.